Fort Lowell Park is a great little city park located in the north-central area of Tucson at Craycroft and Glenn. The park is named after an Army settlement established in 1873 and abandoned in 1891, located on the site. 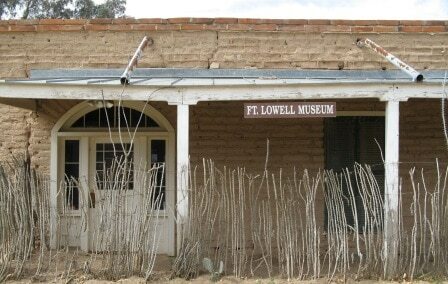 Fort Lowell was built to protect the young city against the Apaches. 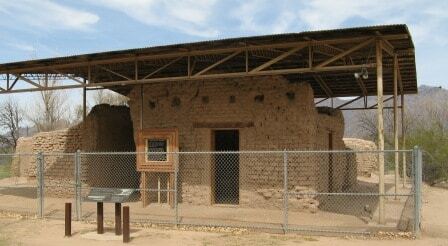 The fort had about 30 buildings including a hospital and soldiers barracks with a cottonwood lined street. Some adobe ruins still stand and many of the trees are still there. The Fort Lowell Museum is located in the reconstructed Commanding Officer’s quarters, and is open on Fridays and Saturdays 10 – 4. Admission to the museum is free on the first Saturday of the month. Today, the park is a great place for recreation with public swimming pools, tennis courts, baseball and soccer fields, playgrounds, plenty of grassy areas, and a duck pond. There are many wonderful neighborhoods located within close proximity of the park too, with homes and townhouses available in many price ranges. These neighborhoods are very convenient, close to Tucson Medical Center, great restaurants, shopping, and schools. Hill Farm, established in 1981, is a unique neighborhood that is arranged around a beautiful little lake, providing lovely views. The property was originally owned by Dr. and Mrs. Donald Hill whose home was designed by Josias Joesler. That home is now the neighborhood’s community center, which can be rented by the homeowners for events. (If that home looks familiar, it could be because it was featured in the 1987 film ‘Can’t Buy Me Love’ starring a young Patrick Dempsey.) The neighborhood was completed over a span of about 10 years, by a few different builders. Homes vary in size from about 1300 – 2100 square feet, typically with 2 or 3 bedrooms. Another unique neighborhood is the Parade Ground at Valley Ranch. This is a newer gated community that is arranged in a loop, around a nice little private park. Built in the early 2000’s these homes are much larger in size, typically in the 3500 square foot range, many with 3-car garages. There are also some nice townhouses within walking distance of the park. San Miguel is a gated townhouse community just north of Fort Lowell Park. This neighborhood was built in the mid 1980s and homes are typically around 2000 – 2500 square feet in size. There are homes near Fort Lowell park in every price range. If you are looking for something a little more affordable, check out the Carlos Terrace, Catalina Vista, or Casas de Carlos neighborhoods which are just south of the park. Catalina Vista is a newer neighborhood built by KB Homes in the mid 2000s. Carlos Terrace and Casas de Carlos were built in the late 50s – early 60s.